The Eastern Meadowlark has a large range, estimated globally at 7,300,000 square kilometers. It is native to the nations of North America as well as Central America and parts of South America and prefers shrubland and grassland ecosystems, though it has been known to reside in rural and pastureland areas. The global population of this bird is estimated at 10,000,000 individuals and it does not appear to meet population decline criteria that would necessitate inclusion on the IUCN Red List. The current evaluation status of the Eastern Meadowlark is Least Concern. Eastern Meadowlark: Short ground-dwelling bird with buff- and black-streaked brown upperparts. 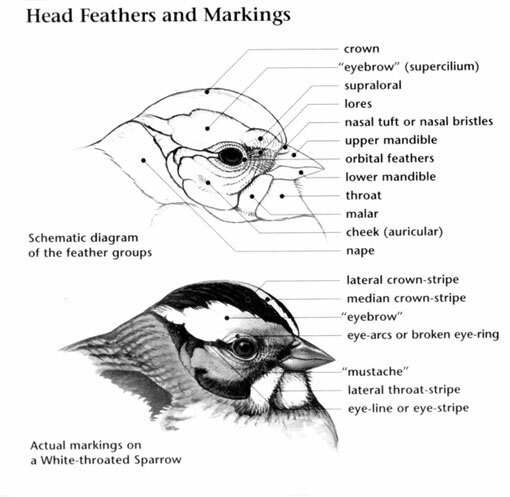 Head has black-and-white striped crown, white face, black eyestripe and a pointed bill. Throat to belly is yellow, broad black V on breast. Brown tail has white edges and undertail coverts. Eastern Meadowlark: Breeds from southeastern Canada through eastern U.S. west to Arizona; resident in the Bahamas and Mexico. Spends winters mostly within breeding range. Preferred habitats include pastures, meadows, grassy fields, prairies, open country, and country roadsides. Often seen singing from fence posts or utility wires. Song consists of whistled notes followed by gurgled warbles. A male Eastern Meadowlark typically has two mates at a time, and on rare occasion, three. 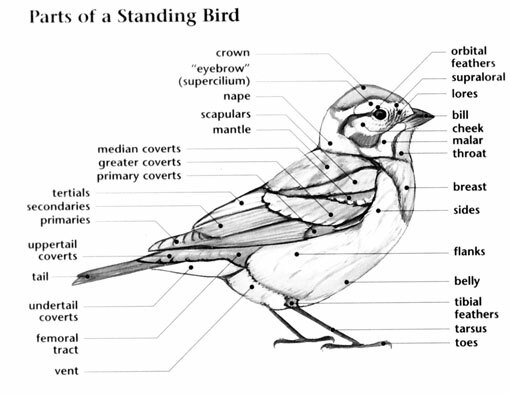 The scientific name Sturnella magna is Latin for, rather confusingly, "large little starling", the generic name having being given due to the meadowlarks' behavior being similar to starlings. Up to 17 subspecies are recognized by taxonomists. A group of meadowlarks are collectively known as a "pod" of meadowlarks. The largest taxonomic order of birds, the PASSERIFORMES (pronounced pas-ser-i-FOR-meez), is divided into one hundred eighteen families and encompasses over half the world's known bird species, including many familiar birds such as finches, swallows, thrushes and blackbirds. The blackbird family, Icteridae (pronounced ik-TER-i-dee), includes one hundred and four species in twenty-seven genera found only in the New World. There are fifty-seven species of blackbirds in thirteen genera that occur in North America; included in this family are the long-tailed grackles, brightly colored orioles, and the meadowlarks and bobolink of the grasslands. Blackbirds such as the Red-winged Blackbird are known for their highly social flocking behavior while orioles are more known for their colorful plumage and woven hanging nests. In the case of the meadowlarks, it is their pleasant prairie songs that bring them recognition. Most blackbirds and orioles are slender, long-tailed birds while the grassland loving meadowlarks, Bobolink and cowbirds have chunkier bodies and short tails. Despite these differences in body shape, all blackbirds share a sharp, straight bill that can be used to forage for both small creatures and grain. All blackbirds also have fairly long legs and strong feet. Males of several blackbird species have mostly black plumage highlighted by iridescence or bits of bright color such as red markings in the wings or staring yellow eyes. Females lack such attention getting aspects to their plumage but make up for it with subtle browns and streaked patterns that camouflage them while sitting on their nests. Streaked, cryptic plumage also helps hide both sexes of meadowlarks while orioles stand out with striking orange, yellow and black plumages. In the United States and Canada, blackbird species are primarily birds of non-forest or second growth habitats including wetlands and in the case of meadowlarks and the Bobolink, grasslands. The lone forest dependent species is the Rusty Blackbird; a bird of wooded swamps. Most blackbirds are short distance migrants that leave the cold north for the milder winters of the southern states although the orioles and the Bobolink undertake long distance migrations to Central and South America. Most blackbirds are very social in nature with some species taking this behavior to an extreme in southern fields and wetlands during the winter months. In such areas, wintering flocks of Red-winged Blackbirds and grackles can form conglomerations of tens of thousands of birds that fill the country air with their rusty calls and sound of rushing wings. 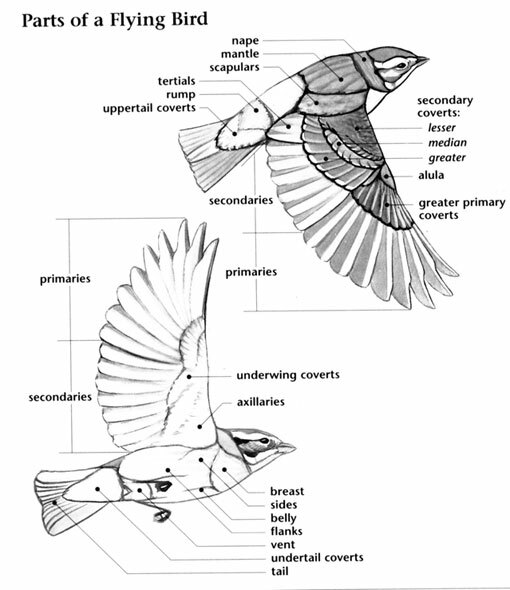 The Icteridae include some of the most abundant bird species in North America. Nevertheless, two species, the Rusty and Tricolored Blackbirds, are threatened or endangered because of loss of their wetland habitats. One species, the Slender-billed Grackle, is presently listed as extinct, also due to the loss of its wetland habitat. The blackbird family includes the only brood parasites in North America; the cowbirds. Like the Old World Common Cuckoo, instead of building their own nests, cowbirds leave their eggs in the nests of other species; a behavior that has a negative impact on the host species' nestlings and has contributed to the decline in many songbird species populations. Many species of grackle are mimics, having the ability to reproduce some sounds they commonly hear around them; for those living in developed areas, car alarms are a frequently learned and reproduced sound. 2 female Greater Scaup in S VT?? Not sure - Red-shouldered Hawk? Small feathers that cover the areas where the retrices (tail feathers) attach to the rump.